La Porta de Santiago (also known as A Famosa and built in 1511) is all that remains of the Portuguese walled city of Malacca. Malacca was the first of South East Asia’s many colonies, claimed by the Portuguese explorer Afonso de Albuquerque in 1511, a staggering 500 years ago. The Portuguese stayed for less than a century, after which the city had the dubious honour of being colonised not just once, but twice, by the Dutch, and finally, the British, each of whom stayed for about a century and a half. It is, as historians would put it, a palimpsest — a kind of blank canvas written on over and over again by successive writers, or civilisations, in this case. The thing about palimpsests is, that while the topmost layer is the most visible, it is rarely the layer that is of interest. 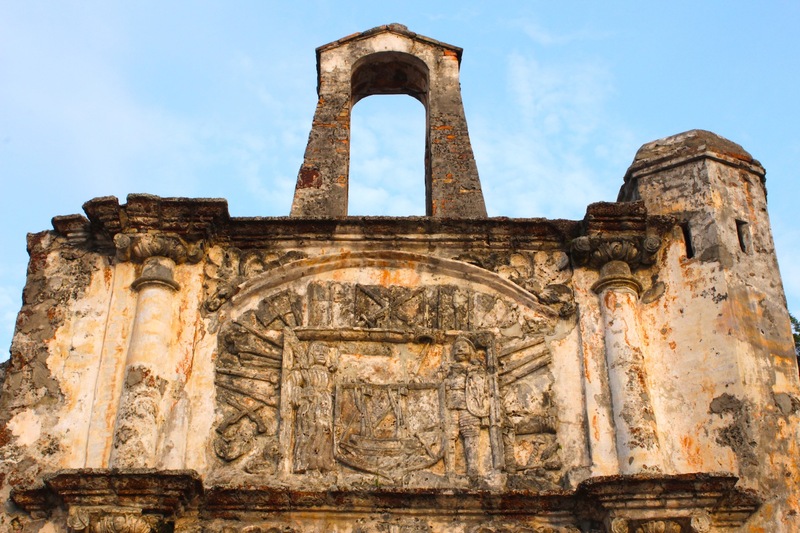 In a similar way, what is most intriguing about Malacca is its Portuguese layer, which, though having been set in place before the Dutch and the British layers, refuses to fade away. 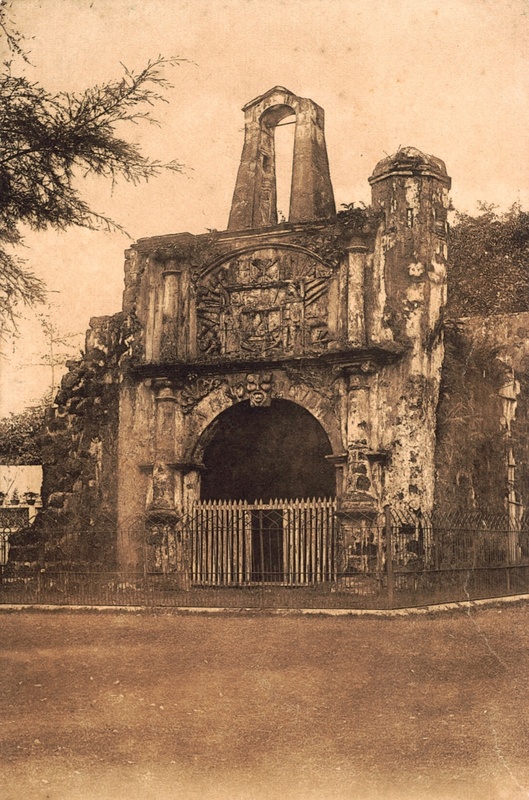 The most famous relic from Portuguese times is La Porta de Santiago, also known as the A Famosa gate. The gate, once part of a vast wall and fortress complex that encircled the city, stands like a silent, lonely sentinel at the foot of a small hill on which sits the other tangible relic of these first European colonisers – the ruined church of St Paul’s, once known as Nossa Senhora da Anunciada, or Our Lady of Grace. La Porta de Santiago in the 1900s. It remains thanks to Sir Stamford Raffles, who halted the British troops’ destruction of the Portuguese Wall, during a brief interregnum between 1795 – 1818 when Britain ruled Malacca for the first time. It was in and from this Church that Portugal’s most famous mediaeval export, the priest- explorer St Francis Xavier would preach his message of God to all of Southeast Asia, China and Japan. 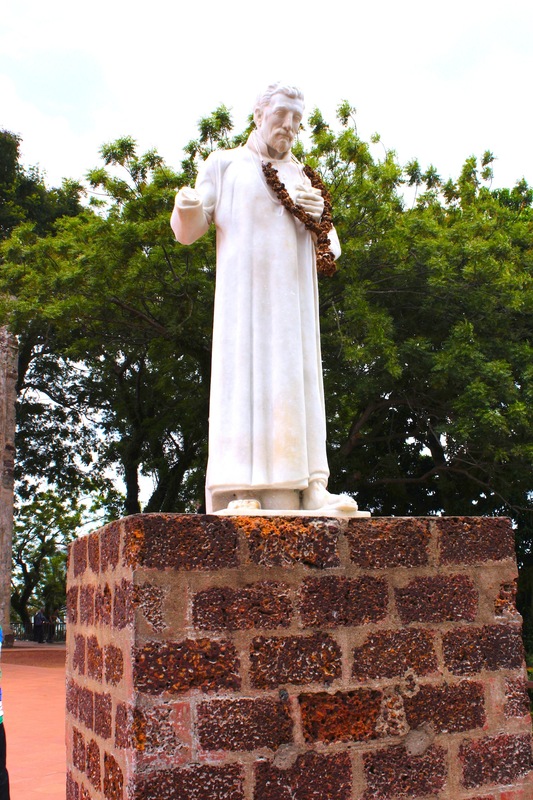 Malacca was Xavier’s professed favorite city, and when he died of a fever in Southern China in 1552, his body would be brought here to be interred for nine months, before being taken to Goa where it still rests today. The spot where he was supposedly (briefly) buried is marked out in the ruins, and sits beside a haunting quintet of ancient Portuguese gravestones – the only ones amidst dozens of Dutch and English slabs. The city today isn’t over its Portuguese roots. In particular, the Portuguese never left Malacca. In fact, 500 years later, they – or at least their direct descendants – are still here. To find them, one simply has to take a short taxi ride three kilometres east of the city centre, to the Portuguese Settlement. There, by the shimmering Straits of Malacca, one can partake of excellent seafood and curries, cooked in a Portuguese-Creole style – also known as Kristang or Eurasian – that had emerged over the course of centuries through a fusion of European and Malay tastes. 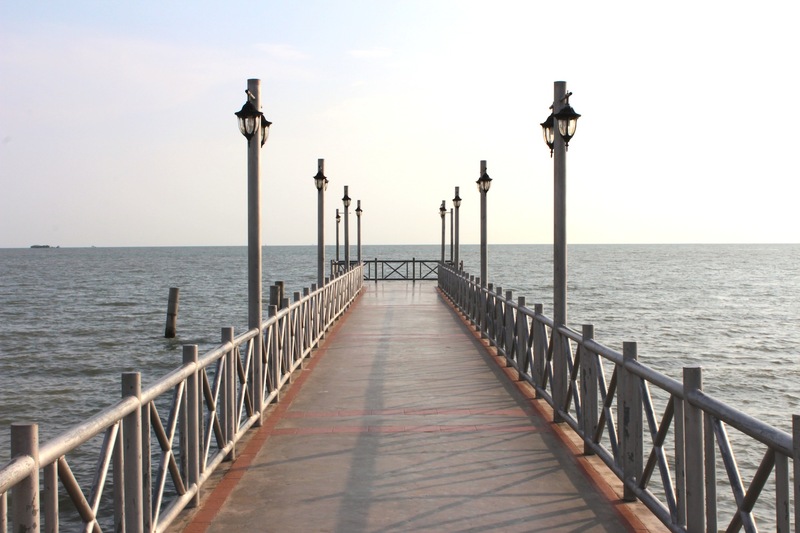 The Pier at the Portuguese Settlement. This entry was posted in Uncategorized by Kennie Ting. Bookmark the permalink.